It should come at no surprise that there is a staggering amount of music roaring into New York the weekend of New Years Eve. One noteworthy music venue illustrating this trend is Anthology in Rochester, bringing concertgoers a three-night music marathon. On Friday, Dec. 29, Rubblebucket soars into Rochester with special guest, Cuddle Magic. Following that, Forever Party, a two night reggae-infused New Year’s celebration will thunder into the humble city on Dec. 30 and 31. 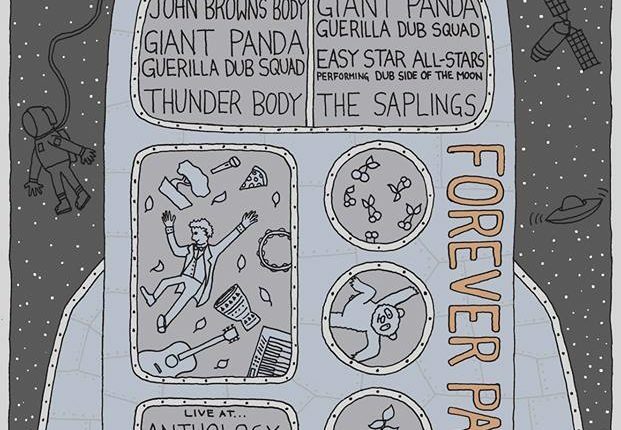 Night one of Forever Party will showcase Ithaca’s reggae juggernaut John Brown’s Body and co-headliner, Rochester’s Giant Panda Guerilla Dub Squad. 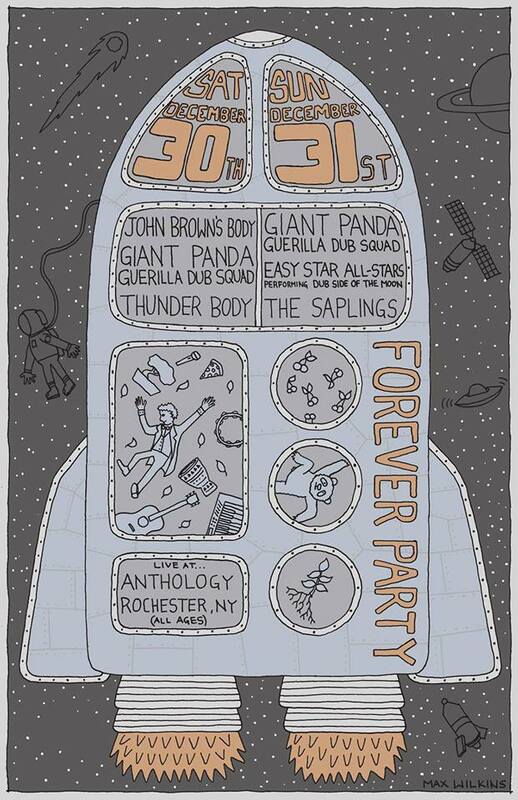 Thunder Body, another Rochester reggae powerhouse will open up the night. On night two, G.P.G.D.S. will perform again with the legendary Easy Star All-Stars headlining and the Saplings opening up the night. It’s safe to say harmonious melodies will echo through the streets New Year’s weekend.